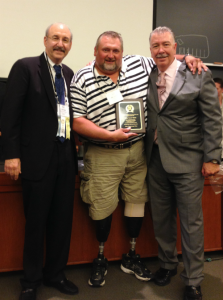 I am pleased to announce that I just completed the 2014 Summer Session hosted by the National College for DUI Defense on the grounds of Harvard Law School on July 24-26, 2014. It featured some of the premier Operating Under the Influence (OUI/DUI/DWI) defense attorneys in the country on the faculty, and provided a rigorous curriculum that crossed many skill levels and allowed the participants to learn from the best while having the opportunity to sharpen their trial skills. I am a Sustaining Member of the National College for DUI Defense and a member of the faculty. The NCDD is a non-profit organization dedicated to the education of criminal defense attorneys and the public about OUI/DUI/DWI laws and practice. If you have been accused in Maine of OUI, “Operating Under the Influence of Alcohol or Drugs”, or possession of a controlled drug or any alleged motor vehicle or criminal offense, feel free to call Saco ME and Portland ME OUI attorney John Webb today at 207-283-6400 and arrange a free consultation to discuss your case.